Notes: This one was running around near my garden and waited til I got the camera, allowing him to be photographed. Better outside than in the house. 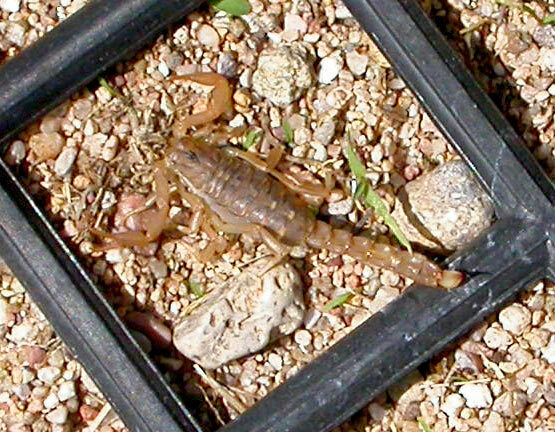 Scorpions are nocturnal; therefore it was unusual for this one to be out near midday. Do you want to see if they are in your house? Use a UV light at night to search them out.